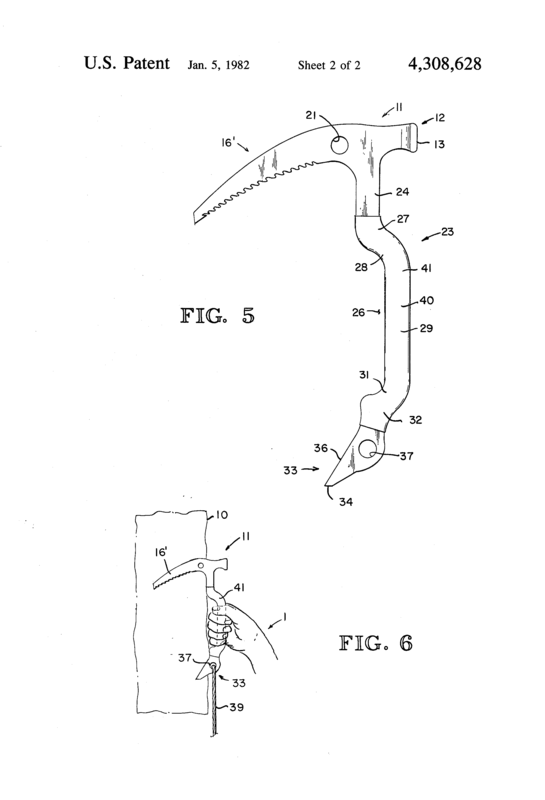 Last time we introduce the ice axe and the nailed boot, the de facto winter climbing equipment for nearly 100 years. It was generally a pastime for the upper classes although a few of the higher classes of workers were starting to filter through. One person in particular was Oscar Eckenstein a railway engineer would go onto revolutionise winter climbing as not only did he introduce technological innovation he also backed it up with a variety of skills to best utilise those developments. In 1912, Oscar started to redefine winter climbing, coming near the end of his climbing career. He set about redesigning the crampon and ice axe. He published his findings in the 1912 Climber Club Journal under the title Claws and Ice Craft, indeed he joked that no progress had been made for at least fifty years in ice craft and also said that with his new design he hadn’t needed to cut more than 20 steps in 25 years. Given the accounts of step cutting continued well past the publication of this article goes to show just how separated he was from the establishment. His article is as much about the science of design and its effect on the climber as it measures the outcome of using his ice claws, rather than guessing the angle a climber can stand on he measures it. Finally giving 18 design specifics along with his blue-print for his claws. Things like the metal should show good resistance to bending, show no sign of cracking, have great tensile strength, not be brittle, must be steal, strong enough so one spike can hold the weight of the climber, made out of one piece of metal, bends rounded off to increase strength, must be shaped to the owners boot, spikes are sharp and the rings to attach the strapping to should be punched out of solid sheet and never rely on brazed or soldered rings. It really was a recipe for creating the best crampon on the time. His next target was the Ice Axe, first off he advocated that the ice axe virtually surplus to requirements as after all his claws negated the need to cut steps. However if the need to fashion a foot or handhold arised the sheer size and weight of the existing ice axes was impractical. So out with the idea that the shaft be longer than one metre and instead he suggested that they drop to around 80 cm. He also suggested that the shaft be made of Hickory or Ash, as these woods are best suited for the job although interestingly Hickory is better suited to a climber heading to the tropics as it is less effected by the changes in temperature. That shaft would also taper outwards from the head to the spike at the bottom, so that the hand could more easily grip it, and the profile be elipical again for ergonomics. Oscar did worry that as a belay it would be slightly poorer than a others for belaying, as it wouldn’t go as deep. However if you have ever made a T-Axe belay then you’ll know that the length of axe is often inconsequential and instead the quality of the snow is what makes the different. Indeed when training people I have used a Mars Bar or a Rolled up bivi bag, and got a group of 6 people to hang of it. Again he produce blue print for the design so anyone with the inclination could have someone make them one to his design. It is this that is most interesting as it shows how bespoke the equipment was, your crampons were shape to you foot, like a furrier shoeing a horse and your ice axe would also have been made by a limited number of people, probably a combination of a blacksmith and a carpenter. 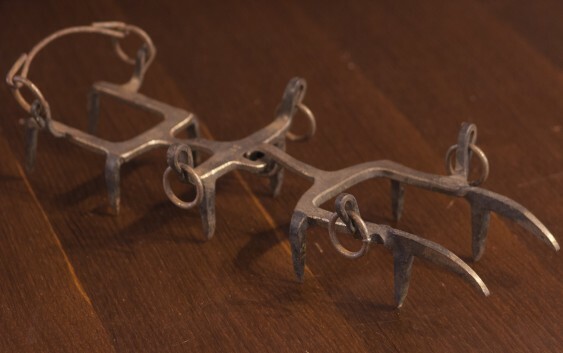 Those first Eckenstein crampons were made in Les Forges, Chamonix at the Grivel family Blacksmith, one of the first manufacturers of Alpine Equipment, having started the transistion from agriculture in 1818 they start manufacturing parts for Alpenstocks and Ice Axes. 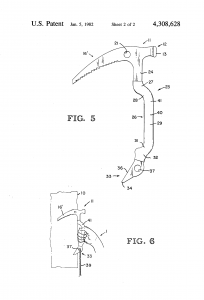 The Eckenstein crampon went into production in 1909. 100 years later Grivel is still going strong as a manufacturer and designer of some of the worlds most impressive climbing gear, and they still focus on winter and alpine equipment. Copyright 2017. All rights reserved. Part of the Snowdonia Mountain Guides and How to Climb Harder group.